I did not use Sponge Power as it was not listed as one of the basic four. Only Zeolite, ZeoBac, ZeoFood and ZeoStart are listed in that basic four. I followed the PDF guide on the Bulk Reef Supply under the ZeoVit Magnetic Reactor put out by Korallen-Zucht. 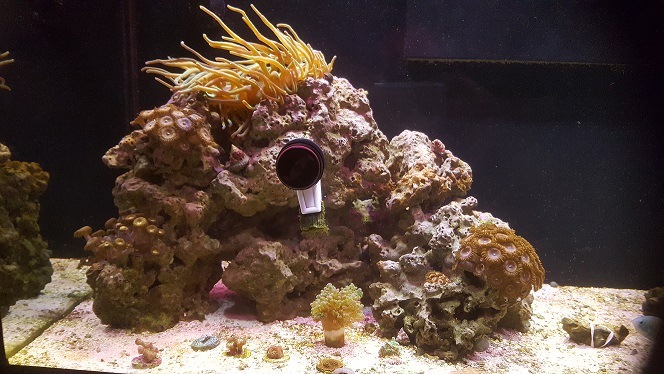 ZEOvit® for the first time (already stocked):" since my tank is already stocked with fish and coral. I followed that method to the letter except for having too much flow. That method does not call for a larger initial dose as far as I can tell. in any event, its ok.
- dose it at night when lights are off. you can prepare the mixture in the morning or 8 hours before your lights will be off so you can dose it at night after lights off. Got it, thanks for all your help! I'll begin as you say and post some pics and parameters this weekend. Waiting on Sponge Power, ZeoZyme and Bio-mat to arrive in a couple days. No pictures yet, waiting for the camera filter, should be here in a couple days. 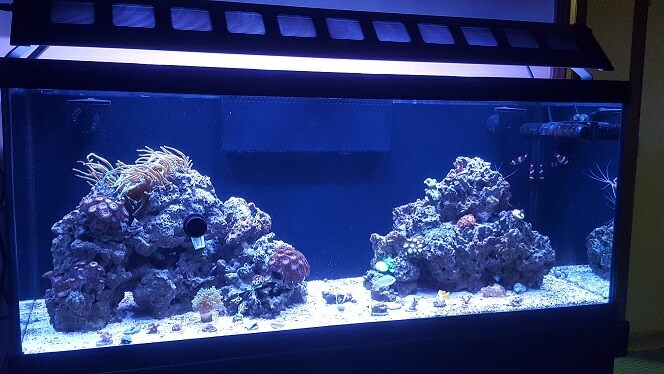 Did a water change of 20% this week to shave a few ppm off the Nitrate. 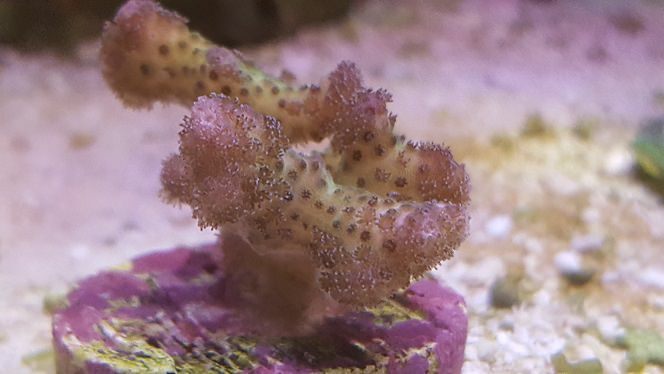 Honestly if you ever get your numbers below that your corals will pale and then you be complaining that you don't have nutrients in the tank. 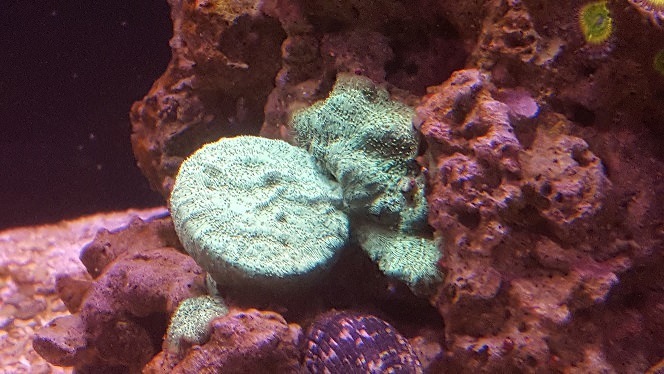 As long as algae is not an issue covering corals high numbers mean nothing. you are on the right path, numbers are not too far. we need to reduce NO3 and PO4 slowly, drop your Alk to 7~7.5. your Ph is bit on the low side, not critical but if you can bring it up a bit. there are multiple ways to do so. CO2 scrubber, aerate the system, run scimmer air line to outside..etc. lets keep the current plan and keep an eye on the NO3, if it increased let us know we might changhe ZS a bit. changing ZS will impact PO4 and NO3. its important to reduce PO4, but can increase No3 if overdosed, thats why there is a bit of a dance in the amount of ZS dosing depend on the NO3/PO4 ratio. test your alk daily, you do not want swings. make sure you do weekly WC to reduce your NO3 slowly, and watch out for what you feed and nutrient addition. once you ahve SP dose daily for 2 weeks then switch to every other day. 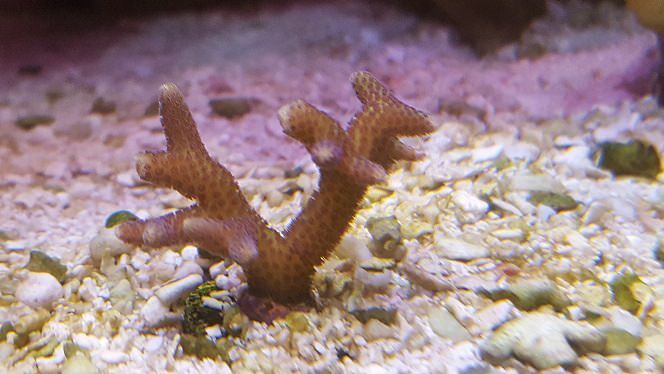 Pictures of system and corals. Both Nirtrate and Phosphate have increased slightly. so far still looks good except for the NO3, we will need to bring this down by WC, proper flow through the zeo reactor and dosing and careful housekeeping. did you start using ZZ+BM yet? this will help bit with the NO3. again your parameters are not that far off you are on the right track. 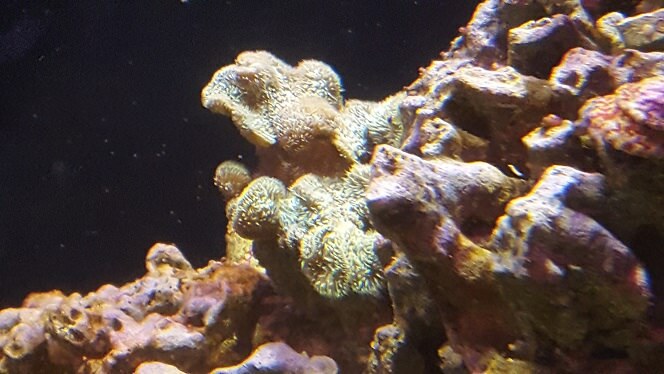 watch out for your feeding and once you add more coral make sure to test Alk daily. so far still looks good except for the NO3, we will need to bring this down by WC, proper flow through the zeo reactor and dosing and careful housekeeping. 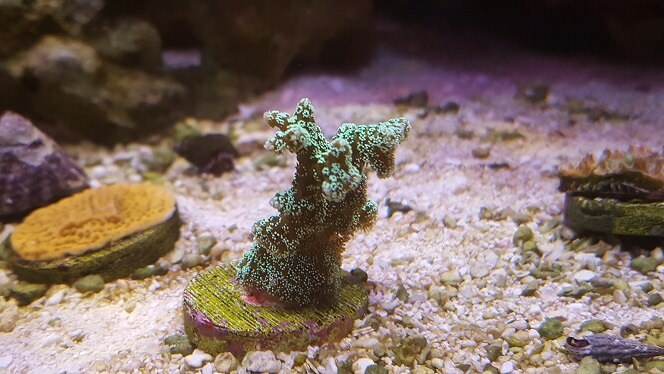 I did another 20% water change. 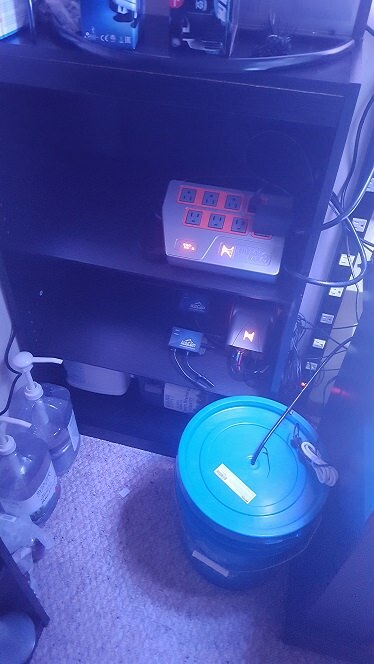 Reactor flow is 100 gph for my 100 gallon system. Reduced feeding slightly. System is looking much cleaner than before. did you start using ZZ+BM yet? this will help bit with the NO3. I have not. Today is the last daily dose of Zeobac. I'll use ZZ+BM on Friday night. beside that lets continue, if you see NO3 is increasing more while PO4 is not, reduce the ZS to 0.4mlx2 Will do. Alk is beginning to fall about .1 per day. Down to 7.5 today. If it continues plan to let it drop to about 7.2 or 7.3 and begin dosing to maintain. I have stopped feeding any type of pellet so now only feeding 1 cube of frozen food daily and 1/8 algae sheet daily. 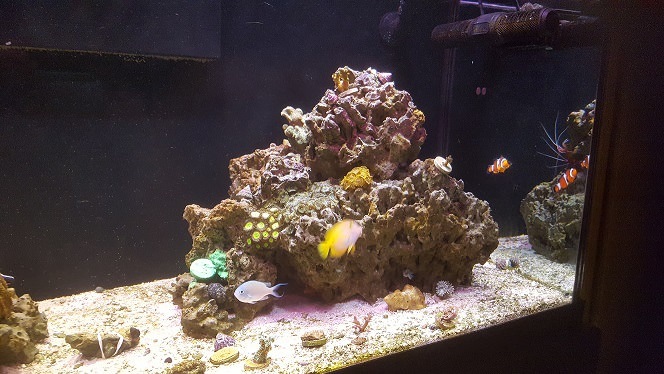 wow, how much fish you have that you feed 1 cube a day? if your system is young (my understanding is that you recently started 14 days cycle) you should not have big bio load. if you do not have a lot of fish, 1 cube is too much. 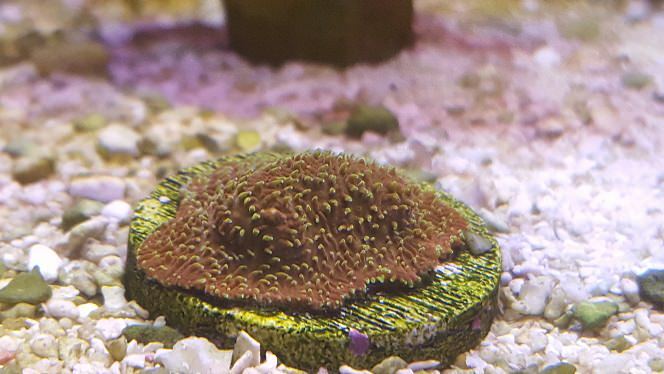 make sure you rinse the frozen food well before you feed it, administer feeding in such a way that all what you put is eaten and nothing is falling on the sand or coral, do not just dump the food in the system where some of the food will just go to the water column and land on sand/coral and elsewhere. finally, increase your reactor flow a bit more and see if it drops the no3, reactor flow should impact your no3 control. 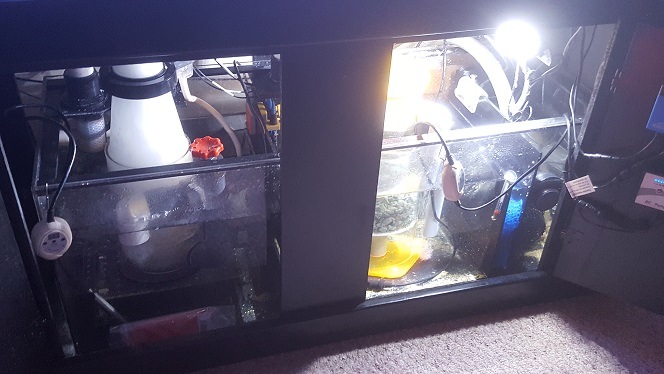 make sure your skimmer is skimming wet and taking out waste, at such no3, your skimmer should produces decent skimmate, otherwise you might be dealing with insufficient skimming. My system is 1 year old. I've recently started with Zeovit but I have 9 fish that have been in the system for the majority of that year. My fish eat 1 cube in less than 1 minute. I stop all flow to feed so the food is suspended and fully consumed before the flow is restarted. I have recently gotten a new skimmer that has been s-l-o-w-l-y breaking in so skimmate has been very spotty.